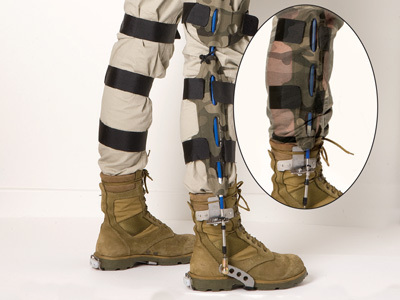 DST Group, through an innovative approach to exoskeleton design, has developed a proof-of-concept demonstrator of a non-rigid exoskeleton - 'OX'. Encouraging test results indicate OX is an exciting solution to the problem of heavy backpacks. This is an exciting opportunity for industry to collaborate with DST to further develop this innovative Australian invention into a fully functional and tested prototype for transition into service. Patents have been filed and the potential market includes coalition infantry, firefighting services and the civilian trekking/leisure industry. Watch the video below to see DST's Tom Chapman pitch the exoskeleton at Partnerships Week 2015.